And now, as John Cleese used to say from behind his Monty Python desk in the middle of nowhere, for something completely different. I occasionally get accused of favouring gilded, highfalutin places. That’s nonsense, obviously: I’m in favour of good food, wherever it’s found. So, just to ring the changes, I went to Sunderland for a kebab. Not just any old kebab, of course. 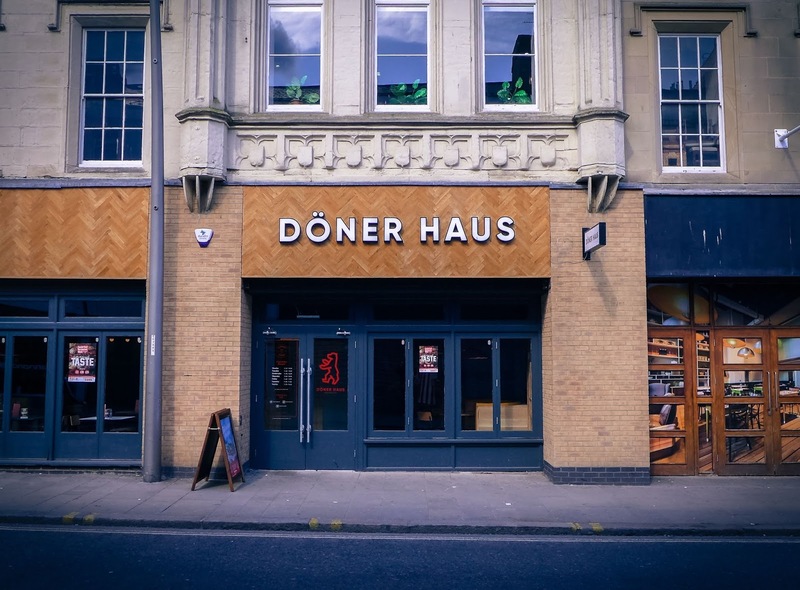 The website for Wearside newcomer Döner Haus, situated handily close to Sunniside car park, promised “the most genuine Berlin doner this side of the water”. If that seems odd, you should know that in Berlin, doner is very much a thing. 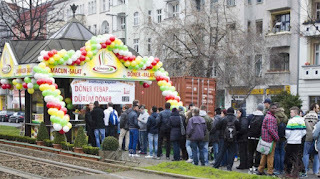 On a recent trip, there really did seem to be a doner-slinger on every street corner. There are a lot of Turkish immigrants in Berlin, and the world’s kebab-afficionados are the beneficiaries. 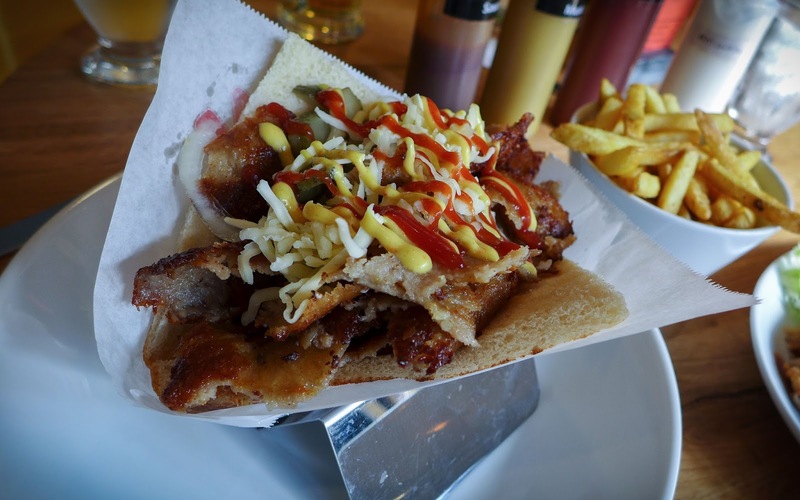 Personally, I have sampled sufficient rotating meat sandwiches in my day, from Istanbul to Iran to Islington, whether they be doner, gyros or shawarma, to hold some pretty strong views on the matter. As with any sarnie, when done well they are much more than the sum of their parts. 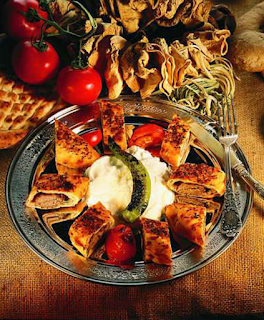 The meat, irrespective of quality, must be well flavoured, whether by marinade, charring or both. Salad must be bang fresh and herby. Some tangy, pickled element is vital, and the bread must be structurally up to the task. 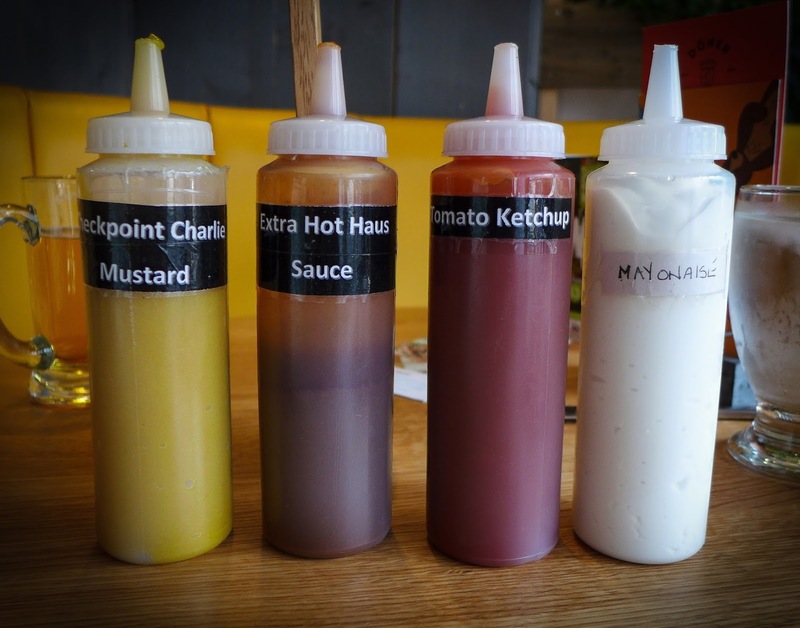 Sauces and condiments must offer bosh, tingle and wallop. If all these criteria are in order one needn’t even necessarily be drunk to enjoy a kebab. Sadly, on all of the above metrics, and any others I could invent, Döner Haus’s offering was found wanting. We tried the “Checkpoint Charlie”, a concoction of sliced beef and turkey breast topped with onions, gherkins, mustard mayo, ketchup and cheeses. The one thing I can say in its defence is that the bread was good, a toasted sesame thing which was light and springy. Everything else was grim. The meats tasted salty, yet bizarrely lacking in any other flavour, with an odd, highly processed texture. The cheese, of which there wasn’t a great deal, tasted industrially nasty. 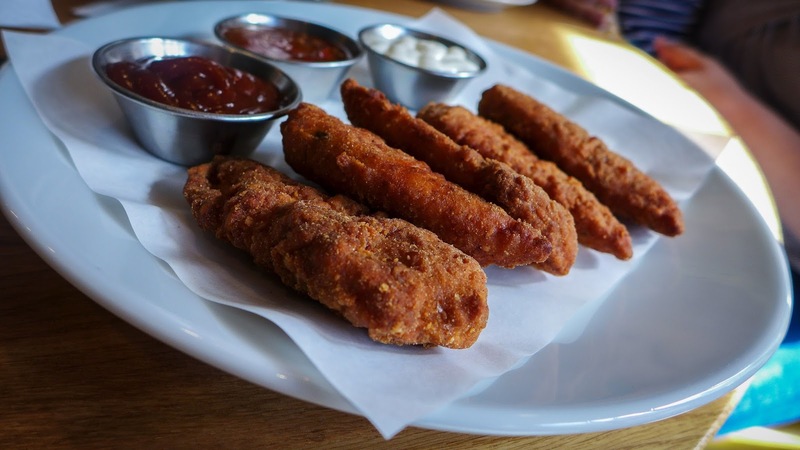 The onions and gherkins perked things up slightly. But only slightly. 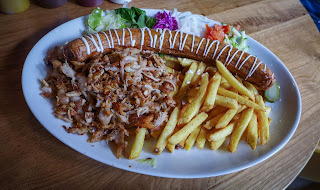 We also ordered a chicken and Wurst plate, on which all the elements of a chicken kebab, sans bread, were served up, accompanied by a massive pork sausage. Tasting everything separately was telling. Miniscule piles of chopped lettuce, spinach (grittily unwashed), red cabbage, onion, tomato and cucumber were laid out in order, like a naff rainbow. None of them tasted of anything at all. The chicken meat was sad and unloved, and the chips were dull. I don’t mind catering fries when they’re decent, but these tasted like cheap catering fries. The sausage itself - and I speak here as an enthusiastic advocate of quality German and Polish sausages – was pappy and bland. The majority of my plate was returned to the kitchen unmolested. Starters had been just as bad. Falafel were underseasoned, not even managing to taste of the chickpeas from which they were formed. “Berlin Krispy Chicken Strips” were like a poor man’s version of what I’m guessing you might get in your local Dixy Chicken (which is probably being very unfair to Dixy Chicken). 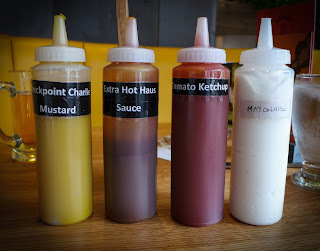 The sauces that came with this lot - ketchup, yellow mustard, mayo and sweet chilli - were sub-Heinz bobbins. All of this was supremely disappointing, as the fit-out of the place had lent oxygen to the flickering flame of optimism. 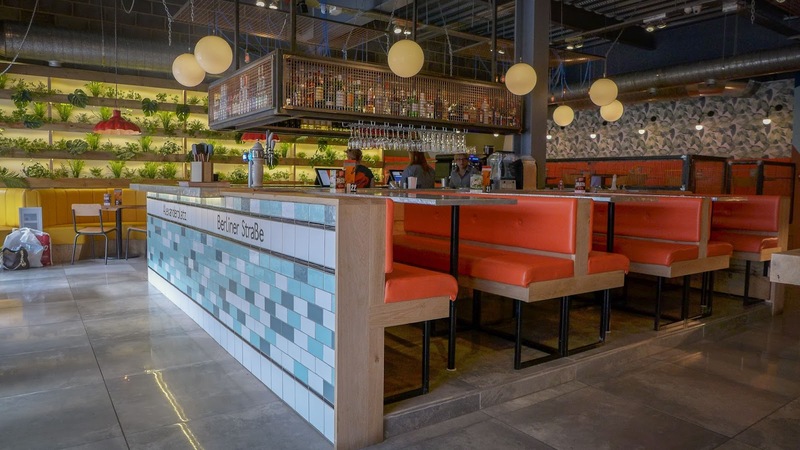 The restaurant is set around a central bar, and features cool blue tiles, a wall of green vegetation and brightly coloured seating. It looks great. 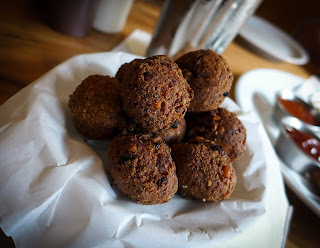 Furthermore, the few servers we spoke to were lovely and an asset to the place. Unprompted, we were asked where we’d parked and told it would be free. Nice one. They opened the door for us on the way in and out. They all just seemed like really nice people, and I felt sad for them having to serve up such rubbish. I even felt guilty for leaving so much on my plate. They were honest too. We asked if any of the desserts were home-made. “We get them imported,” was the puzzling reply. 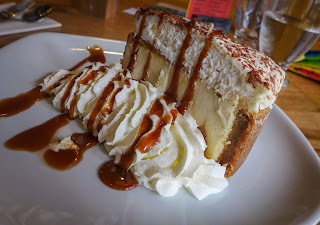 A banana cheesecake didn’t taste like it had come from Germany so much as Iceland, and I’m not talking about the country. It hadn’t been given sufficient time to defrost, the centre being brick hard and crunchy with ice crystals. It was apologised for, and not charged. Between Berlin and Sunderland, something has been badly, tragically, lost in translation. 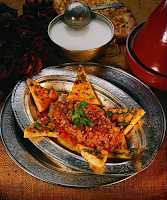 This was a thoroughly dispiriting meal, one which left me craving for anything which tasted vegetal, fresh or cared for. It’s clear that Bavava Restaurants, the crew behind this place, have spent a lot of their time on the concept and branding. 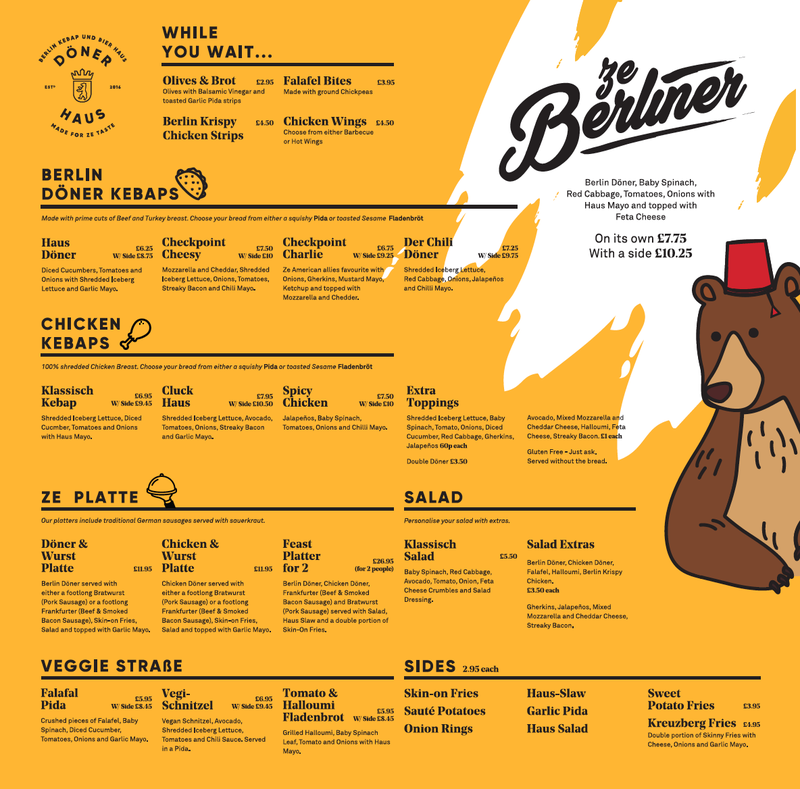 A few cringe-worthy cod Germanisms aside (their kebabs are “made for ze taste”, apparently), I’m all for supporting new ideas in catering. It’s a shame that they haven’t spent any time figuring out how to make their limited menu taste good. I’m now wearily braced for another round of accusations of anti-Sunderland bias. All I can say is: don’t shoot the messenger. I don’t think even a skinful of Pilsner would have disguised the fact that, as far as kebabs go, I’m not sure I’ve ever had wurst.